Happy new year! 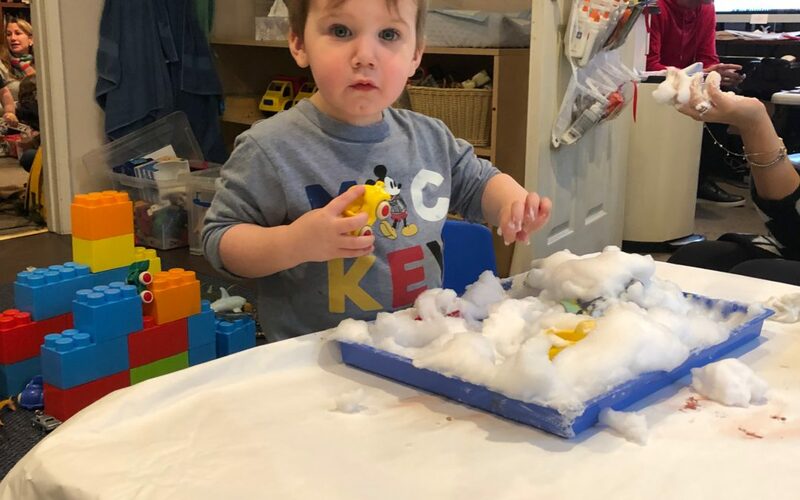 Preschool prep is back in session and our theme is “Bears, Snow, and Winter Animals.” The children experienced powdered snow, shaving cream snow, and cotton ball snow. 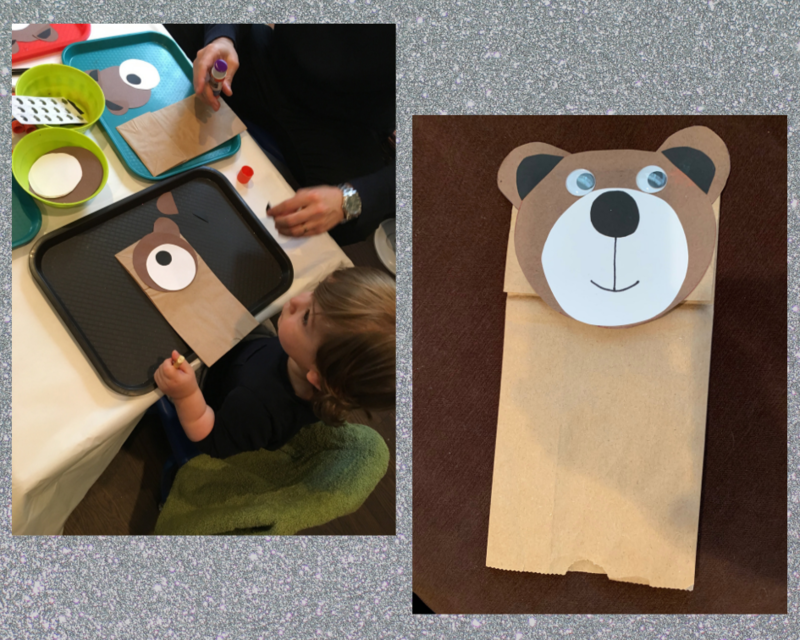 They made bear puppets using paper bags and glue — they honed their fine motor skills sticking ears and eyes onto their puppets. 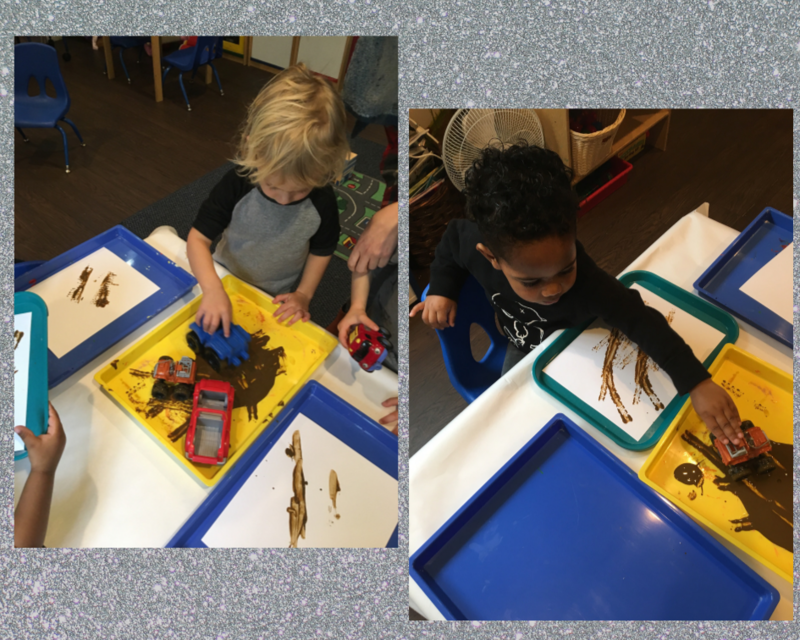 The children made “tracks in the snow” dipping cars and trucks into paint and looking at the different tracks they made. 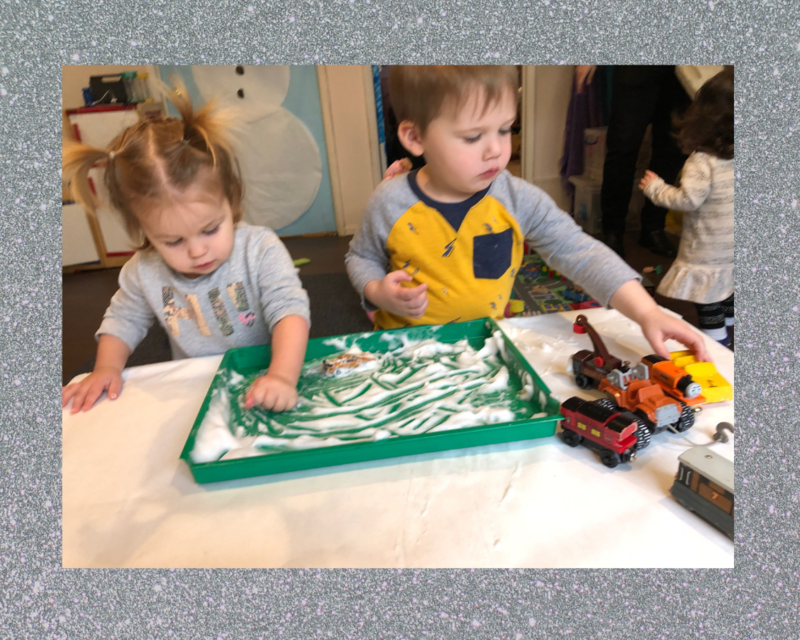 Our sensory table was filled with shaving cream and powdered snow and the children played “hide the bears” in the shaving cream. They also “drove cars” through the shaving cream “snow.” Another new sensory experience: carpet squares! 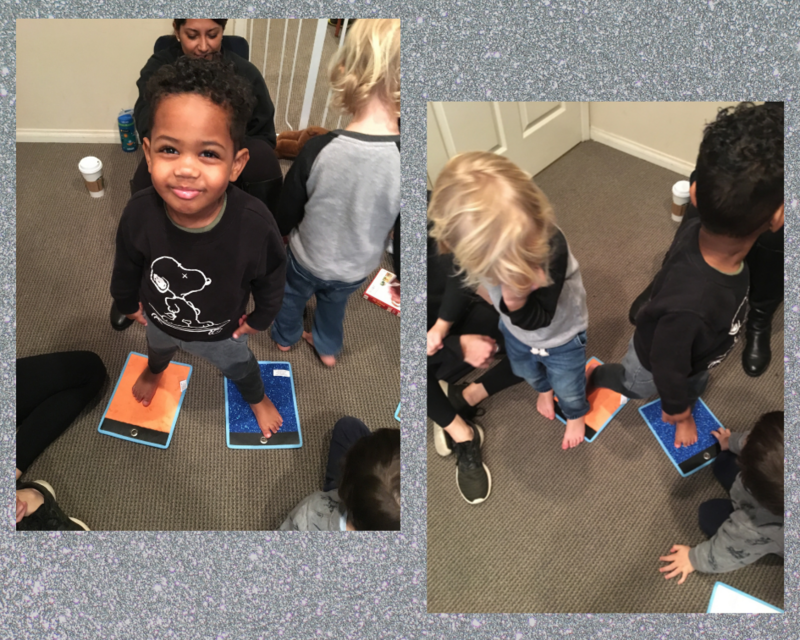 Children explored feeling textures with their feet. Each of the carpet squares is a different sensory sensation. Children experienced rough, soft, smooth, and bumpy carpet squares and reported which one they liked best. 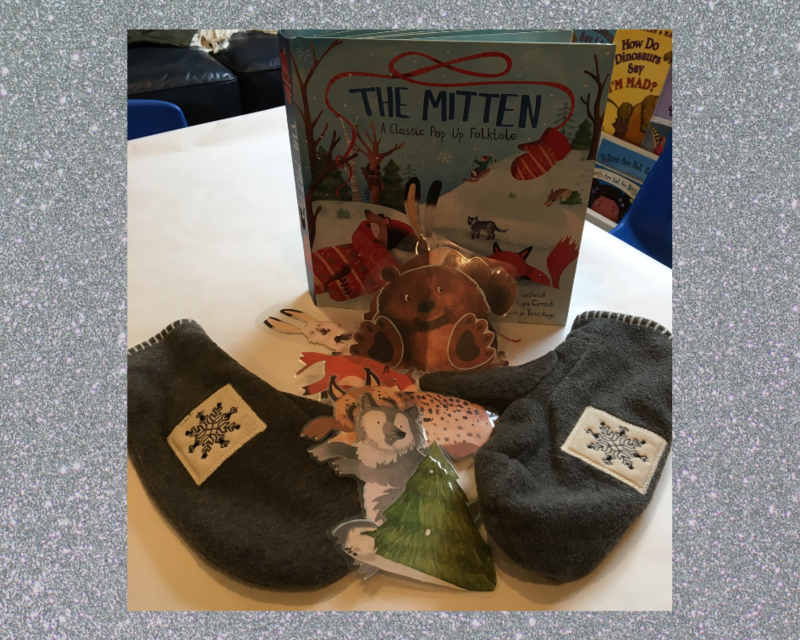 For a special snack, the children ate “bear mix,” a collection of chex mix, pretzels, raisins, cranberries, blueberries, and dried apricots!